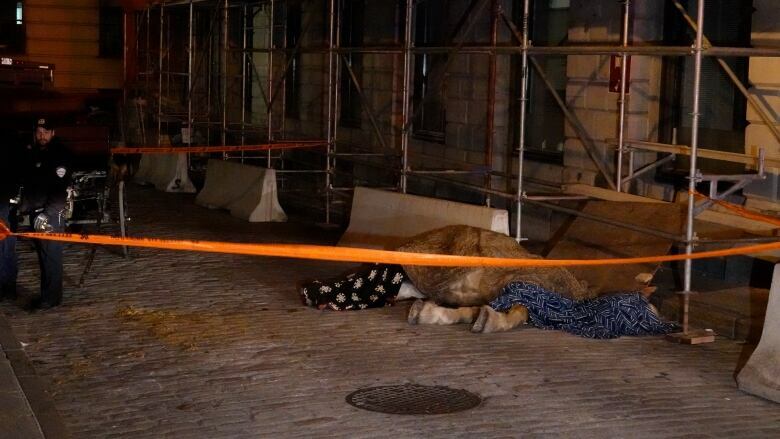 Old Montreal resident Chris Romanyk heard Charlot dying before he saw the carriage horse Sunday afternoon, and now the city's mayor says the animal's death confirms the need for a municipal ban on the calèche industry. Chris Romanyk, who lives on Saint Jean Street in Old Montreal, heard Charlot dying before he saw the calèche horse on Sunday afternoon. "Even in our apartment, you heard the horse crying," Romanyk told CBC News. "It was gut-wrenching. It was screaming in pain. It is really hard to actually describe. It was really an upsetting sound." The incident is the latest dramatic example of why animal rights activists say the horse-drawn carriages, while popular with tourists, must be removed from Montreal's streets, and one that makes the mayor "more determined than ever" to ban the industry by 2020. Romanyk said he and his girlfriend didn't investigate the sound for the first 30 minutes or so, but shortly after she left for work at around 3 p.m. ET, she texted him. "She's like, 'Holy crap, there's a really sick horse right in front of our door,'" he said. Romanyk went outside and saw the working horse was in bad shape. It was shaking, he said, and struggling to breathe. He called police and the Montreal SPCA to report the incident. The SPCA asked him to take photos and videos. He did just that, sending the footage to the SPCA and the media. Though he's not involved with any animal rights groups, he said he felt compelled to do what he could given the seriousness of the situation. "The animal was clearly in significant distress, and they weren't doing anything," said Romanyk, of the handlers. "It was really disturbing." It took about two hours for the horse to die, he said. At first, Romanyk said, the driver didn't unhitch the horse, although people on the street were asking her to. Another handler showed up, he said, telling people to stop filming. Soon after the horse died, he said a truck and trailer belonging to the owner backed up to take the horse away, but that was when police intervened. SPCA officials showed up, he said, and he made sure they had his footage. It was several more hours — well after dark — before the dead horse was removed. Romanyk said he has seen horses slip and even fall on the cobblestone since he moved into the area, but it was the first time he had seen something so serious. In a statement Monday, the SPCA confirmed it did receive a call about the incident. Two SPCA investigators were on the scene within a half hour, it says, but the horse was already dead. Because the SPCA "does not have the power to apply provincial animal welfare legislation to horses," the SPCA officials immediately contacted the Quebec Ministry of Agriculture (MAPAQ), which took charge of the case. 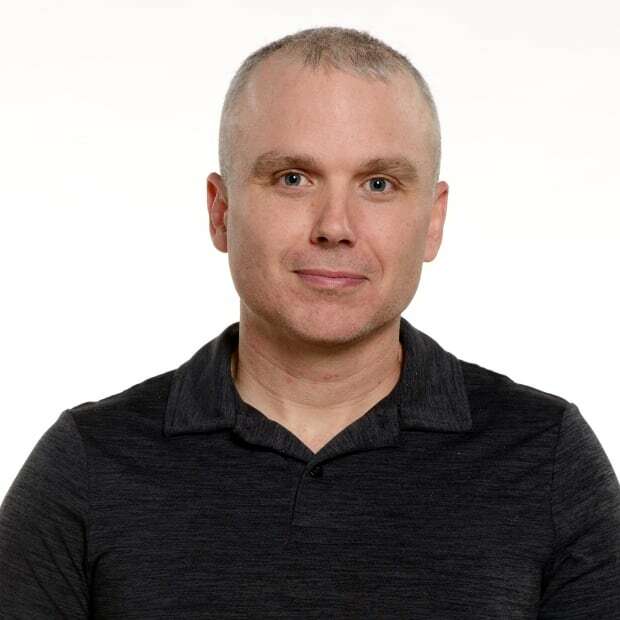 The SPCA said it is "eager to see" Montreal's bylaw, which will prohibit horse-drawn carriages from operating in the city, come into effect on Dec. 31, 2019. "The SPCA has always been very concerned about the way carriage horses are treated in Montreal," the agency said in a statement. The Ministry of Agriculture put out a statement Monday afternoon saying that the horse's body is being taken to a government lab for an necropsy to determine the cause of death. The statement says representatives are also carrying out a field investigation in response to a formal complaint submitted to the ministry. Mayor Valérie Plante says the animal's sudden death confirms Projet Montréal's decision to shut down the calèche industry was the right one. "It doesn't make sense to have calèches on the streets of Montreal," Plante told reporters Monday. She said she is "more determined than ever" to remove them from the city by 2020, the date set in her administration's animal control bylaw that was adopted in August. She added, however, that it is important to give those who work in the industry time to find new jobs. 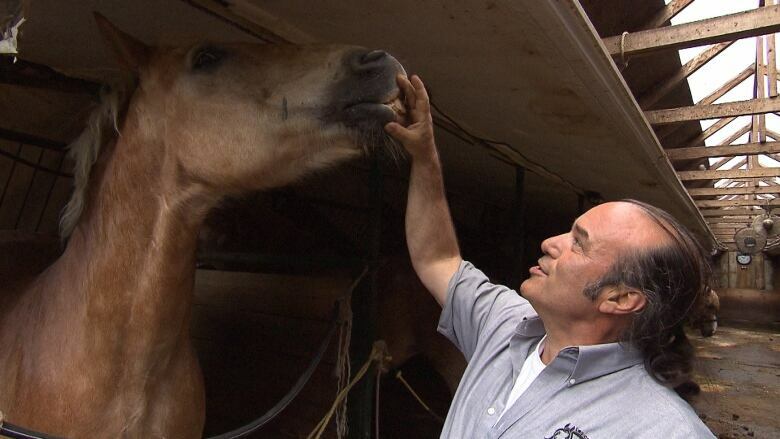 The Montreal SPCA is looking into the horse's death, but its owner, Luc Desparois of Lucky Luc Stables, says it's not unusual for any animal to drop dead. "Why he died? We don't know," Desparois told CBC Montreal's Daybreak on Monday. "It's like humans. People die out of the blue without showing any signs." Charlot was a "very nice horse" that he bought earlier this year, he said, and all his horses are well maintained by professionals. He said those professionals care about the animals. In this case, Charlot's driver was crying as she waited more than two hours for the horse to be removed from the street, said Desparois, blaming the city for the delay. A week ago, he said the horse showed some signs of a minor illness but was thoroughly checked and monitored by a veterinarian to ensure it was healthy enough to work. "Charlot never showed us any sign of not feeling OK or of being sick or anything," he said. Charlot's owner was unable to say exactly how old the horse was. Charlot was not young, he said, but was still at a reasonable age to pull a calèche — a job he says the animal enjoyed. He said the industry is not as hard on the animals as opponents claim. "They have no veterinarian proof — no logical proof anywhere — that supports that it is too hard on a horse to be pulling a carriage," said Desparois, noting he has 25 years of experience in the industry. "From my point of view, a horse that has a friend and gets a little exercise, walking like they do in Montreal, there's nothing wrong for their health," he said.